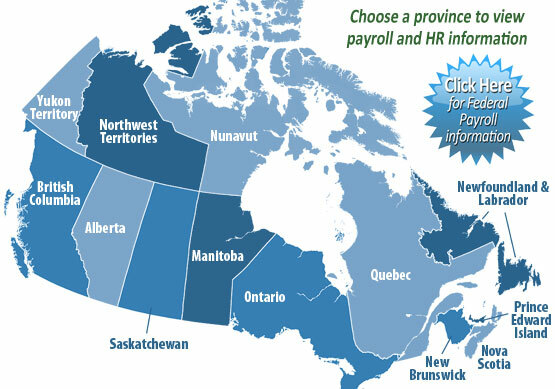 Click on a province/territory below to view information on commonly requested payroll topics and recent changes to payroll and human resource standards. To view Federal information, please click here. Use the helpful links below to view a variety of payroll, HR and business resources in Canada. Note: The links provided here will direct you away from our website into a new window.